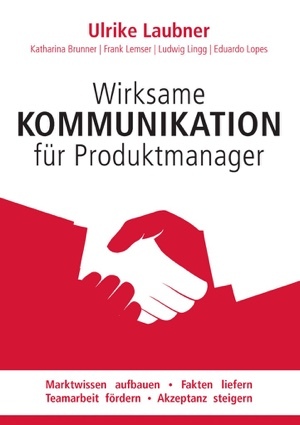 Der erste Ratgeber, der sich auf das Thema Kommunikation im Produktmanagement fokussiert. Visualisierung von Produkt-Prototypen ist ein wichtiges Mittel für die Kommunikation in Projektteams. Ich habe als Co-Autorin dieses Thema in das Fachbuch eingebracht. Der handliche Ratgeber zeigt typische Beispiele von Kommunikations-Schwierigkeiten und zeigt Lösungen auf. Das neue Wissen kann mit einfachen Übungen aus dem Ratgeber direkt trainiert werden. Von der neuen Kommunikations-Kompetenz profitiert das ganze Unternehmen: Die Geschäftsleitung trifft schneller Entscheidungen, die Entwicklungsabteilung entwickelt nach echten Marktbedürfnissen, der Vertrieb verkauft leichter die neuen Produkte, und die Mitarbeiter haben mehr Spass. Endlich auch auf Englisch verfügbar! Both companies and HR consultants consider communication to be the most important social skill for the future. 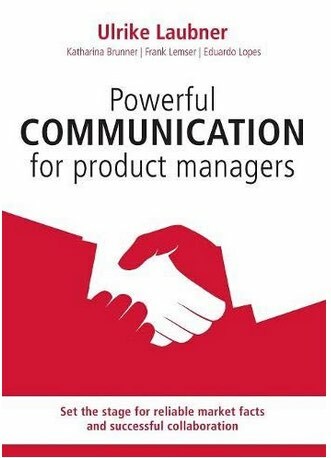 For you as a product manager, good communication skills are decisive, both for your career and to ensure that you deliver a successful product. Yet we often still hear complaints about communication not functioning well with other departments and about the lack of acceptance of product management in many companies. Using examples from the real world of business, this unique self-help guide looks at the typical communication difficulties which often arise and highlights potential solutions. There are also several exercises for you to test your new knowledge. The communication skills you acquire will simplify your everyday working life: You will improve your communication skills. You will learn how to convey information more effectively and how to convince stakeholders of your ideas.You will enhance your ability to pose tactical questions in order to increase your knowledge of the market. You will build up skills which will enable you to deliver customer-focused product management. Your company will benefit in different ways: senior management will be able to make decisions faster and development teams will be able to carry out their development work according to real market requirements. In addition, the sales team will find selling easier and employees will get more enjoyment out of their work.